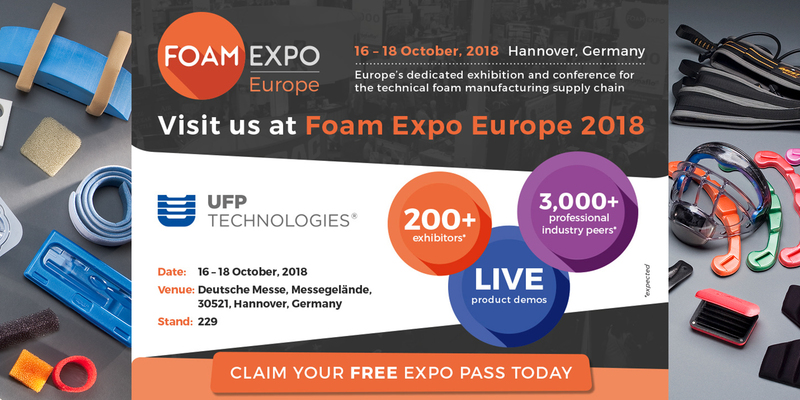 October 3, 2018 – Newburyport, Massachusetts - UFP Technologies, a producer of custom-engineered components, specialty packaging, and products, will be exhibiting at Foam Expo Europe in Hannover, Germany from October 16-18 at Booth 229. 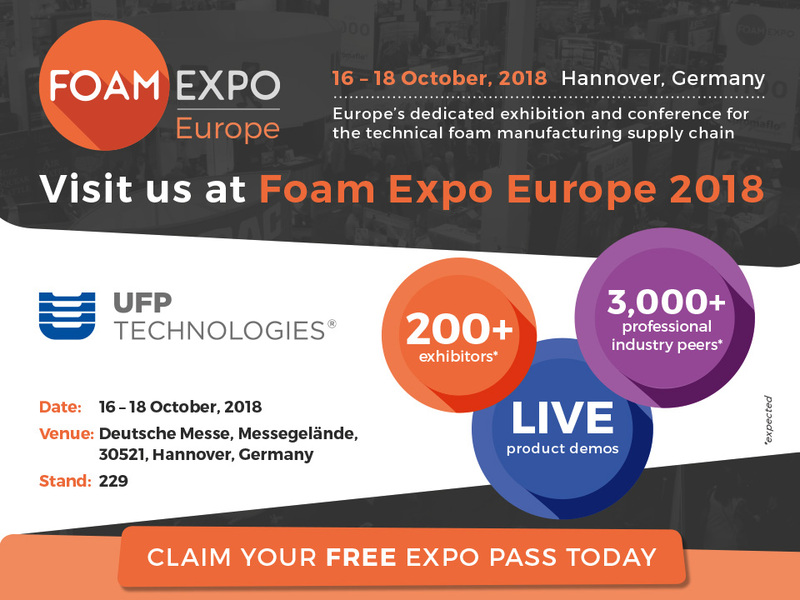 Foam Expo is Europe’s first free-to-attend exhibition and conference for manufacturers and buyers of technical foam materials, products, and services. The show will highlight the latest product applications, services, and equipment from markets including aerospace, automotive, construction, medical, packaging, and sports and leisure.